Volkswagen sold 3,060 diesel cars in the U.S. last month until the 18th. That's when regulators told it to stop selling them entirely because it had been caught cheating on emissions tests. Overall, VW's sales in September were flat compared to a year earlier -- salvaged by a 14% increase in the sale of gasoline-powered vehicles. Sales of diesel powered cars fell by nearly 50% due to the halt in sales. VW has admitted that its diesel cars had software that made its emissions look relatively clean during testing and then spew about 40 times the allowed level of nitrogen oxide during real world driving. VW (VLKAY) spokeswoman Jeannine Ginivan said she did not have any information about whether or not sales of gas-powered models slowed after news broke about the cheating. The German automaker's sales will be closely watched as it tries to rescue its image amid the scandal. The scandal probably happened too late in the month to affect September sales, said Michelle Krebs, analyst with AutoTrader.com. She said a survey of car shoppers done by KBB.com and AutoTrader shows that 52% of buyers now say they have "complete" or "general mistrust" of Volkswagen. "We do anticipate going forward that their sales will be hurt," she said. It's also not clear when VW will be able to start selling its diesel cars again. Diesel models accounted for 20% of its U.S. sales coming into the month and about half of its sales in Europe and other markets. Even strong sales of gasoline cars won't be able to make up for that hit for long, Krebs said. 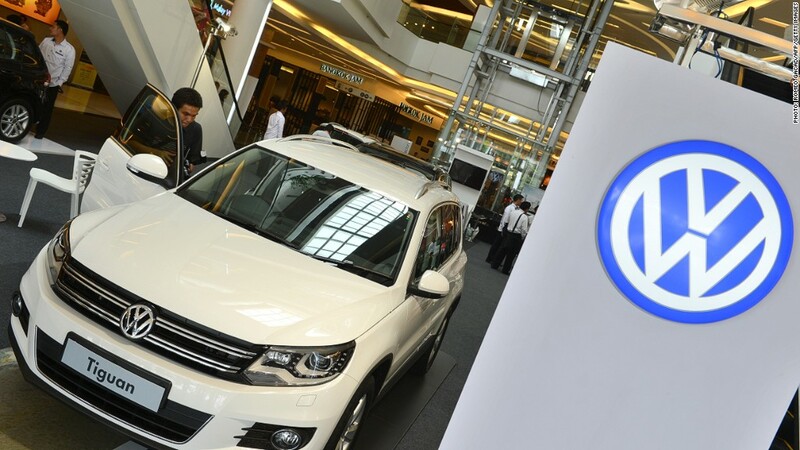 A survey by AutoPacific, an auto marketing and consulting firm, shows that 64% of drivers say they do not trust Volkswagen in light of the issue. VW sells vastly more vehicles in Europe and China than it does in the U.S. It is not set to report September sales in other regions, including Europe and China, until later in October.